Aberdeen and the countryside areas of Aberdeenshire is of course also known for its plethora of golf courses, stunning shorelines, coastal activities, castles, museums, galleries, universities, great country houses and walking, fishing and cycling opportunities. There is so much to discover, so much leisure time to be enjoyed and quiet spaces with spectacular views, just waiting for you to find and explore around Aberdeen. 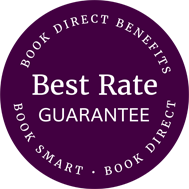 Or spend the day in Inverurie and around the Garioch for some great shopping, eating out and days out with the family. Literally translated as "between the Don and the Dee", Aberdeen's two bordering rivers create a beautifully Scottish backdrop to this historic and culturally rich city, with wildlife, nature, sport and adventure-a-plenty in the surrounding Shire. How will you spend your time here? Fell free to download the Explore Aberdeen visitor guide with maps, or the Explore Inverurie visitor guide with maps, for some fantastic ideas for spending your leisure time in the region. Once you are there, look out for the hard copy guides to carry around with you whilst you are out and about - you will find them very useful! The castle is proud to house one of the largest private collections of Raeburns in the world. Any art lover will appreciate Fyvie's rich portrait collection, which includes works by Batoni, Romney, Gainsborough, Opie, Lawrence and Hoppner. There's an equally impressive collection of fine furniture, tapestries, arms and armour throughout the castle's vast chambers, and a great stone wheel-staircase - the finest of its kind in Scotland. 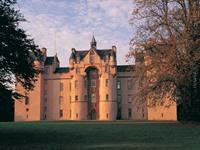 Woven into the tapestry of Fyvie Castle's 800-year history are ghosts, legends and folklore. Tradition claims that the castle's five successive families - Preston, Meldrum, Seton, Gordon and Forbes-Leith - each added a tower to this magnificent Scottish Baronial fortress. Enjoy a leisurely stroll around Fyvie's grounds and lochside, landscaped in the early 19th-century. The 18th-century walled garden has recently been redeveloped as a garden of Scottish fruits and vegetables, and this, along with the American Garden and other parkland areas, is open all year. You can also enjoy the restored racquets court and bowling alley, as well as the ice house, bird hide and restored earth closet. Last admission to castle 4.15. 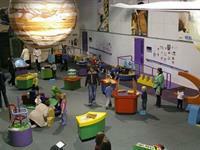 Satrosphere originally opened in 1988 and is Scotland's first science and discovery centre! The live science shows and hands-on exhibits help our visitors discover more about the world around us and the science of how things work. An educating, fun day out for the whole family! We offer delicious home baking, an extensive range of light lunches and refreshments such as Starbucks coffee in the Tramshed coffee shop. 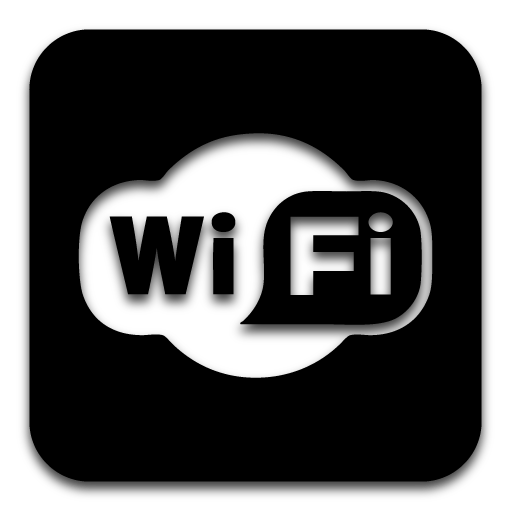 With comfortable sofas, free Wi Fi facilities and a selection of newspapers and science magazines, the coffee house is the perfect place for taking it easy. While you are here, don't forget to visit Satrosphere's Science Shop. You'll find a amazing range of educational posters, science kits, models, gifts and books. We stock a wide range of unusual items, from small pocket money items to science-themed books and posters. incorporates Provost Ross's House, which was built in 1593. The Maritime Museum houses a unique collection covering shipbuilding, fast sailing ships, fishing and port history. It is also the only place in the UK where you can see displays on the North Sea oil and gas industry. Aberdeen Maritime Museum offers visitors a spectacular viewpoint over the busy harbour. Learn about this fascinating North Sea story through fantastic new exhibitions, interactive displays and multi-media presentations. 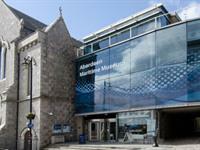 Aberdeen Maritime Museum is acknowledged as one of the finest visitor attractions in Scotland. Aberdeen's excellent collections of maritime paintings and objects are utilised to the full, in the new museum; with touch screen consoles, computer visual databases, education room and hands-on exhibits all adding a new dimension for visitors and bringing the drama of the North Sea industries such as offshore oil, fishing and shipping, to life. The complex is open six days a week with a busy programme of special exhibitions and events throughout the year. The licensed Leading Lights Café - an attraction in itself - offers fine food in splendid surroundings and a first class shop sells a wide range or souvenirs, gifts, crafts, books and music with a distinctly nautical flavour. The Museum's reputation continues with its current Five Star Museum status awarded by Visit Scotland.